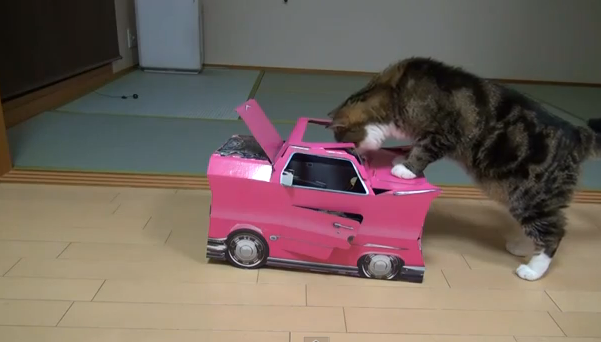 Maru the cat has a new toy car. It’s pink, made of cardboard and has a license plate that reads: “MEOW”. Watch in this video as Maru tries to get inside his new car which is a bit too small for him.